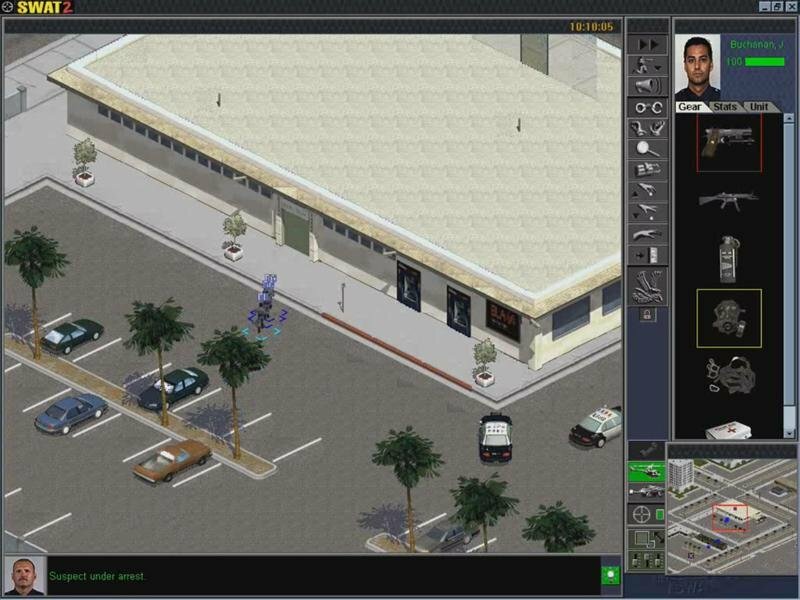 Police Quest: SWAT 2 gives you control either an entire LAPD SWAT division or their opposition – a group of terrorists, each sporting their own campaigns. 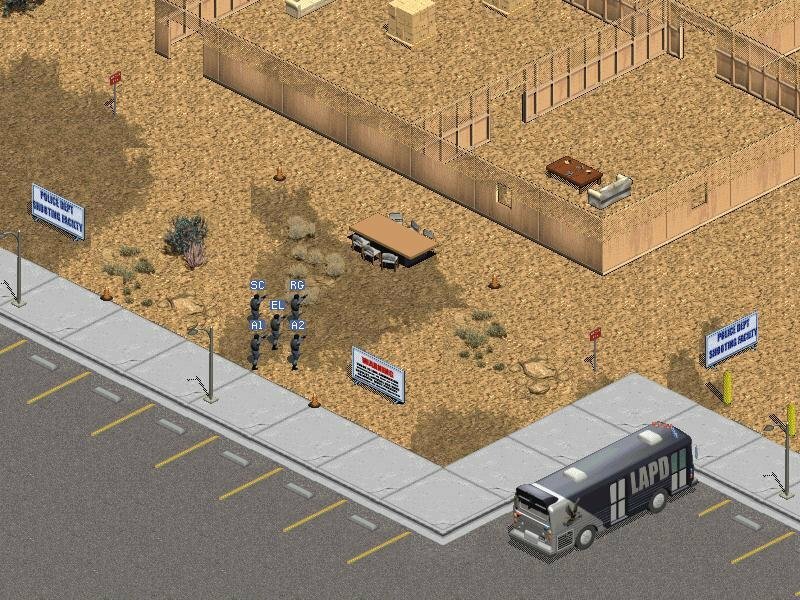 That means you make decisions affecting nearly every aspect of your operations, from allocating equipment and weapons to each man to deciding who’ll be trained to become team leaders, snipers, demolitions experts, and EMT specialists — and all the while you must keep a watchful eye on your budget. 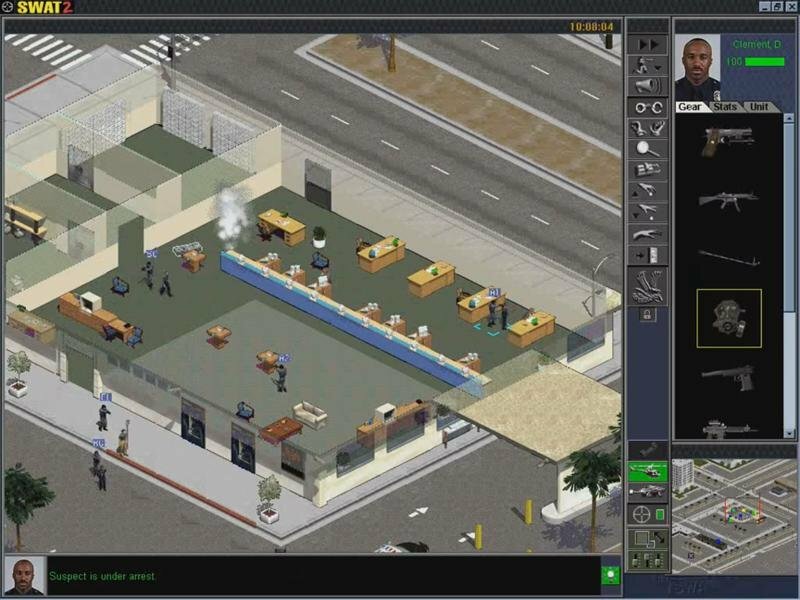 Go on a spending spree by creating too many SWAT teams (known as elements) and you’ll be kicked out for bad budget allocations. 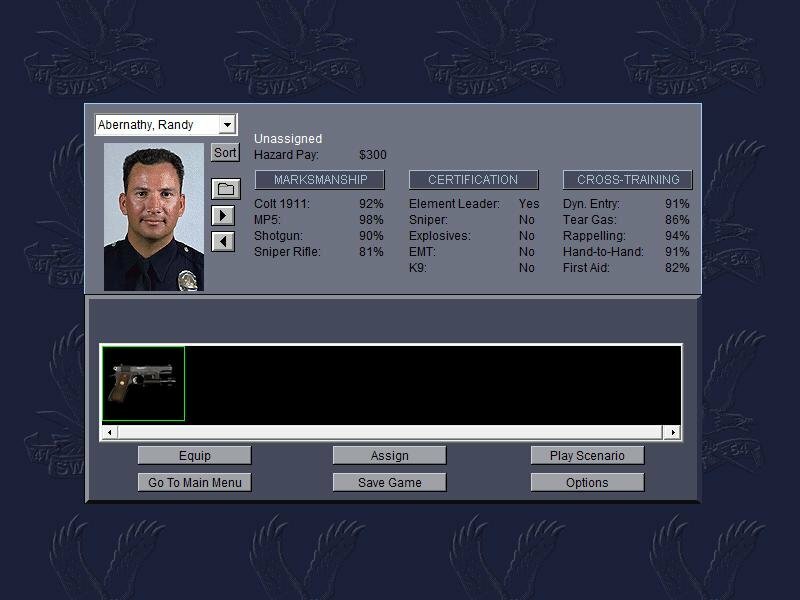 As chief of SWAT, you play 15 missions — two training missions to acquaint you with the interface, and 13 real assignments involving family disputes, riots, botched bank robberies, terrorist bombings, political assassinations, and more. 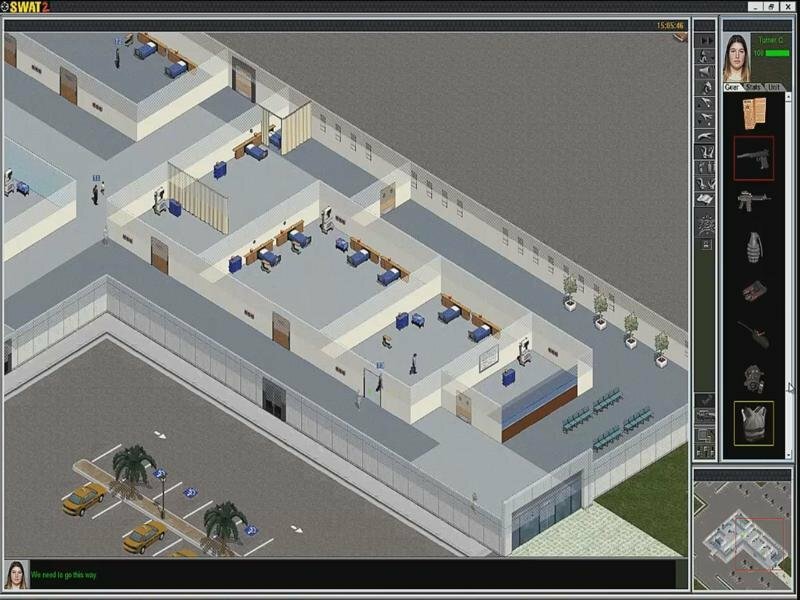 After watching a short intro video and reading a mission synopsis, you choose the appropriate elements and head to the scene of the crime; once there, you play from an oblique overhead perspective, controlling the element members just as you’d expect in a real-time tactical game. 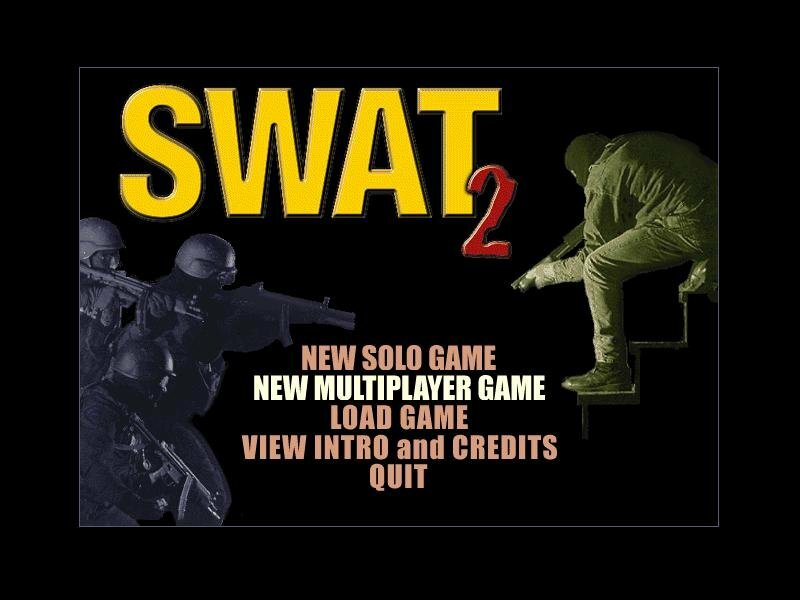 But “scene of the crime” has a double meaning here: there are so many problems with the tactical interface that it cripples SWAT 2 to its core. You determine the actions of any officers you’re controlling via icons on two vertical bars: a Unit Command panel and a Gear sub-window. 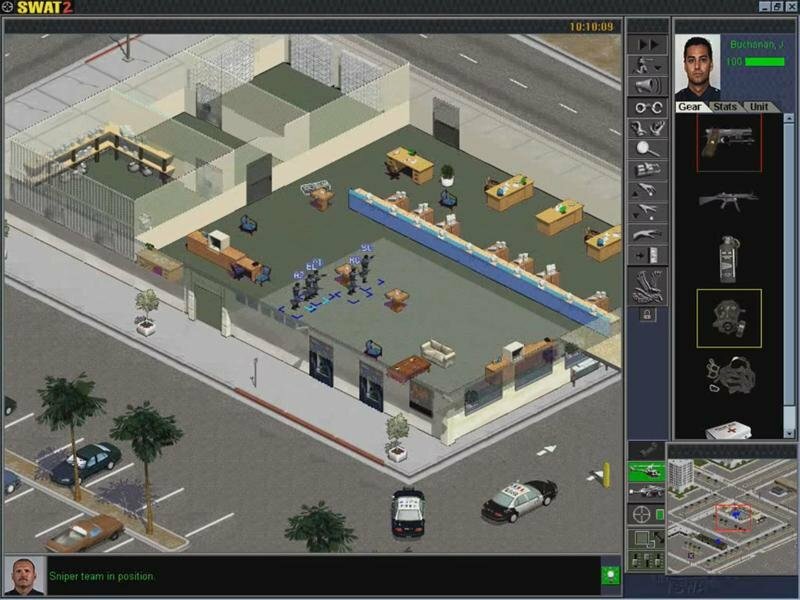 Unit commands include Crouch, Stealth/Dynamic (run) movement, Challenge, Arrest, Rescue, Search, Disarm (bombs, not suspects), Pick Up, Drop, Cover, and Entry. The Gear sub-window is where you select which weapons or tools the officer will use. 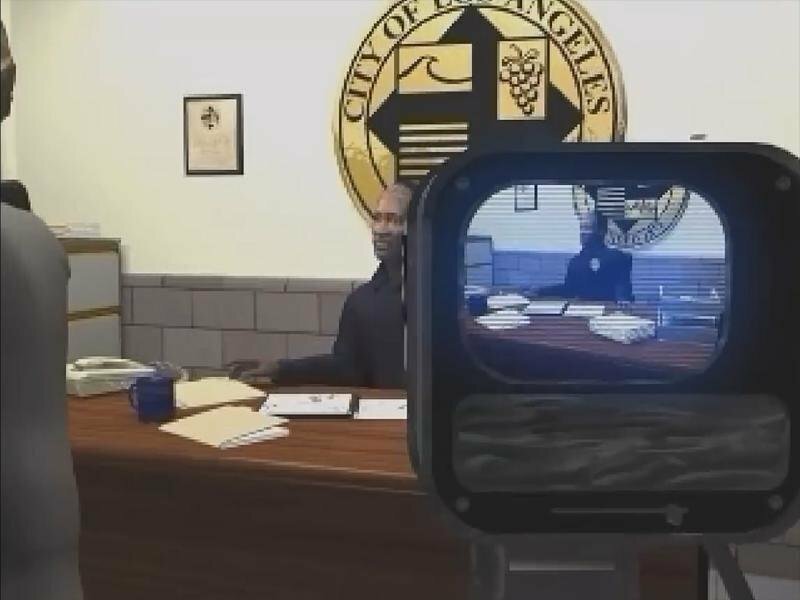 To move, you select one or more officers then click on a destination; to fire a weapon, you select it and put the crosshair cursor over the target. That sounds simple, but in practice, it’s clumsy and confusing. For example – want to have three officers in an element cover a team member moving into position? Naturally, you’d click-and-drag to select all three before clicking on the Cover unit command – but it only issues the command to one of the three selected officers. To have all three cover, you must issue the cover command individually. It’s not fun. 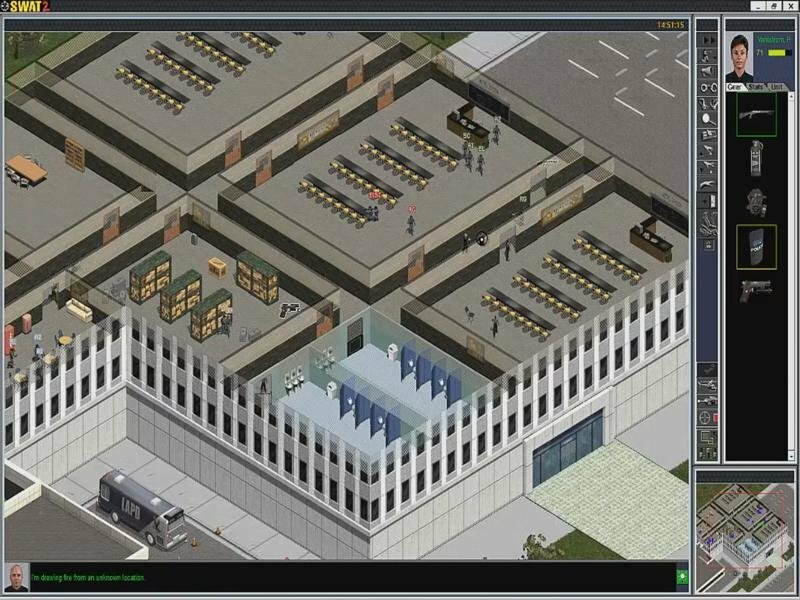 The truth is the game is riddled with such lousy interface glitches, and it handicaps SWAT 2 entirely. In the end, the toughest part isn’t figuring out strategies that can save lives, but fighting with the unintuitive interface. In the end, if you want a solid tactical game of terrorists and counter-terrorists, a solid 3D shooter like Rainbow Six might better fit the bill.